Every morning before work, María Dolz stops by the same café in Madrid. She has her coffee and breakfast there, easing herself into another day in the publishing world. She has to ease herself into it. Authors are known to have egos and often expect outlandish things from their publishers, like a couple of grams of cocaine. The request, of course, is for research purposes only. Dolz might be indifferent to some authors, but she doesn't wear blinders at breakfast. She is keenly aware of the people around her, especially those who also make the café their daily starter. In fact, there is one couple in particular in which Dolz has taken an interest. The pair seem to be the perfect couple, living an unblemished life that lifts the spirits. It gives Dolz hope, a glimpse into two lives that aren't subjected to the same routine and doldrums of her existence. Miguel and Luisa Desvern are perfect until the end. The end is quick and brutal for Miguel Desvern. While it would be days before Dolz would learn it, the last time she would see Miguel Desvern alive was the last time his wife would see him too. Shortly after leaving the café one morning, he would be stabbed to death. The next time Dolz would see him would be in the newspaper, where he would be laying in the street with his shirt half off. She wouldn't even recognize him with his more usual old-fashioned elegance gone, wiped away by the spontaneity of a mistaken attack. 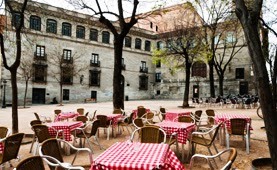 Later, she would imagine that he would have never wanted to be seen in such a way — the victim of an accidental murder in Madrid. If proximity alone breeds familiarity, then this might well explain why Dolz decided to approach Luisa Desvern after learning about the attack. In her mind, though significantly less than the wife, they had both lost something. Luisa Desvern lost her perfect husband and Dolz lost her perfect couple. Strangely but not unexpectedly, Dolz learns that the couple had indeed noticed her as part of their morning routine. They even had a name for her. She was known as the prudent young woman. But all that would change soon enough as Lusia Desvern befriends Dolz for a day, making her someone in whom to confide about the spiraling, out-of-control thoughts and feelings she had since his death. There are some days she mourns the loss. There are some days she wonders what he thought in the final minutes. And there are some days she wonders if she can ever be the same person again or if that person only existed as long as her husband was in the world. The chance encroachment might have ended with that whirlwind awkward meeting, but Luisa Desvern invites Dolz home and introduced her to a few friends. One has a suspected infatuation with the widow, but that doesn't stop Dolz from dating him, a decision she later regrets after overhearing something about the murder of Miguel Desvern. A few graphs about Javier Marias and his prose. 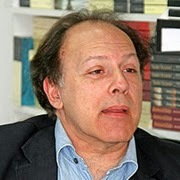 Although Javier Marias began writing at an early age and was only 17 when he wrote his first novel, it would take several years before his work gained significant attention. So he simultaneously entered the literary world as a translator and won a Spanish national award for one of his efforts in 1979. The award began to open more doors, including his work as a lecturer on Spanish literature and translation at the University of Oxford. And later, he continued to write until his work gained a foothold in the English market. The Infatuations, specifically, was published in Spanish two years ago before being translated by Margaret Jull Costa. The novel itself is substantive, with Marias contemplating loss, life, relationships, and how quickly the past can evaporate from having any bearing on the present. But this doesn't necessarily mean the prose is always easy to embrace. The Infatuations By Javier Marias Draws In 6.2 On The Liquid Hip Richter Scale. Dolz, whose perspective tells the story after the fact, has a habit of adding what this or that or maybe this or maybe that might mean — often in mid-sentence to provide a look at her logical but rambling mind. As a character study, perhaps it works. But it also creates a barrier to appreciate some of the author's finer points. Its a great story that brushes up against an exhaustive subject, but expect to work a bit. 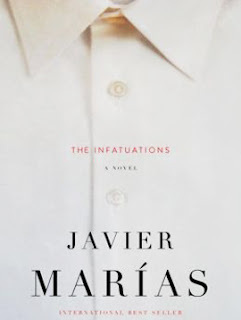 You can find The Infatuations by Javier Marias on Amazon. The novel can also be downloaded for iBooks or the book can be ordered from Barnes & Noble. The audiobook is narrated by Justine Eyre, who has the right voice but mostly delivers the book at one brisk speed. The story doesn't begin to even out until the end.